Average daily maximum temperature in 2015 from Daymet. Daymet is a collection of gridded estimates of daily weather parameters generated by interpolation and extrapolation from daily meteorological observations. 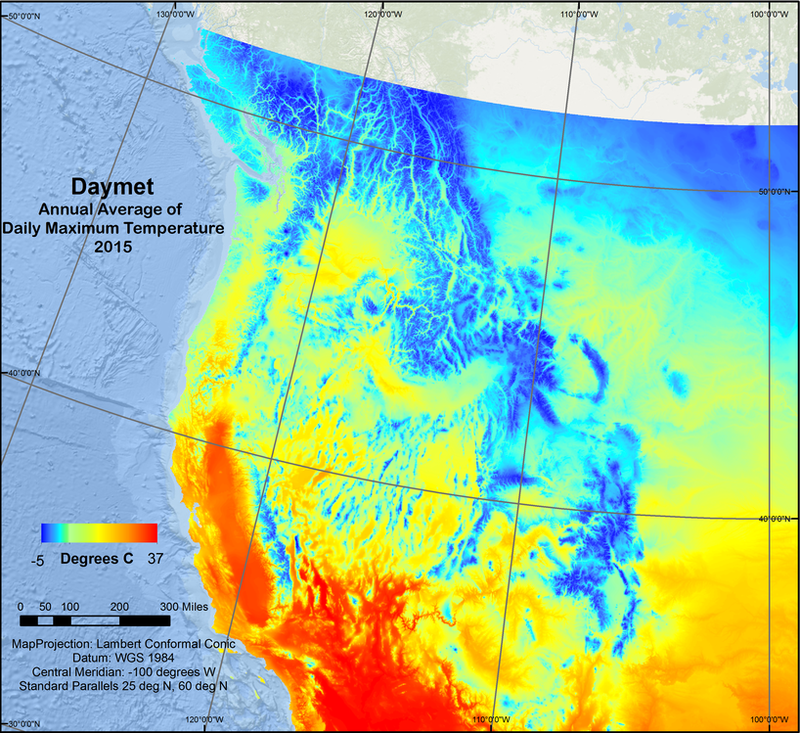 Weather parameters in Daymet include minimum and maximum temperature, precipitation, humidity, and radiation produced on a 1 km x 1 km gridded surface over the conterminous United States, Mexico, and Southern Canada. Daymet data is updated annually and data for 2015 are now available.